If you lay awake at night trying to pray for your kids but the words keep getting lost in the jumble of shopping lists, play dates, and overall mommy brain fog – you’re not alone. I realized my mind wanders (or shuts off altogether) when I don’t have specifics ready to pray for. Thankfully we don’t have to reinvent the wheel. Once again God’s Word beautifully lays out what we need. Paul cared deeply for the churches God had entrusted to him. He poured His heart out to God for these people and he included his prayers in his letters so they would know how he felt about them. Recently I decided to skim through Paul’s prayers to see how I could incorporate them into my prayers for my kids. I was so moved by what I found. “That’s it! That covers everything!” I found myself saying more than once. Paul got to the heart of matter every time. Instead of focusing on, “Please help the boys to share their toys,” I was moved to pray, “Sanctify them entirely!” Instead of, “Help my son to stop throwing fits,” I found more encouragement in, “Let my son attain to all steadfastness and patience.” If you’re at a loss for words (and perhaps a general loss of brain functionality), lift up Paul’s prayers for your kids. Go ahead and throw your husband in there, too. Your whole family will be greatly blessed. Follow this link for an awesome “Paul’s Prayers” printable. Print it out and keep it in your Bible, your quiet time journal, on the fridge, in your diaper bag, etc. I do not cease giving thanks for you, while making mention of you in my prayers; that the God of our Lord Jesus Christ, the Father of glory, may give to you a spirit of wisdom and of revelation in the knowledge of Him. I pray that the eyes of your heart may be enlightened, so that you will know what is the hope of His calling, what are the riches of the glory of His inheritance in the saints, and what is the surpassing greatness of His power toward us who believe. For this reason also, since the day we heard of it, we have not ceased to pray for you and to ask that you may be filled with the knowledge of His will in all spiritual wisdom and understanding, so that you will walk in a manner worthy of the Lord, to please Him in all respects, bearing fruit in every good work and increasing in the knowledge of God; strengthened with all power, according to His glorious might, for the attaining of all steadfastness and patience. To this end also we pray for you always, that our God will count you worthy of your calling, and fulfill every desire for goodness and the work of faith with power, so that the name of our Lord Jesus will be glorified in you, and you in Him, according to the grace of our God and the Lord Jesus Christ. For this reason I bow my knees before the Father … that He would grant you, according to the riches of His glory, to be strengthened with power through His Spirit in the inner man, so that Christ may dwell in your hearts through faith; and that you, being rooted and grounded in love, may be able to comprehend with all the saints what is the breadth and length and height and depth, and to know the love of Christ which surpasses knowledge, that you may be filled up to all the fullness of God. Now may our Lord Jesus Christ Himself and God our Father, who has loved us and given us eternal comfort and good hope by grace, comfort and strengthen your hearts in every good work and word. Now we pray to God that you do no wrong; not that we ourselves may appear approved, but that you may do what is right, even though we may appear unapproved. For we can do nothing against the truth, but only for the truth. For we rejoice when we ourselves are weak but you are strong; this we also pray for, that you be made complete. Sara Wallace is a mom of four little boys and another (boy) on the way. 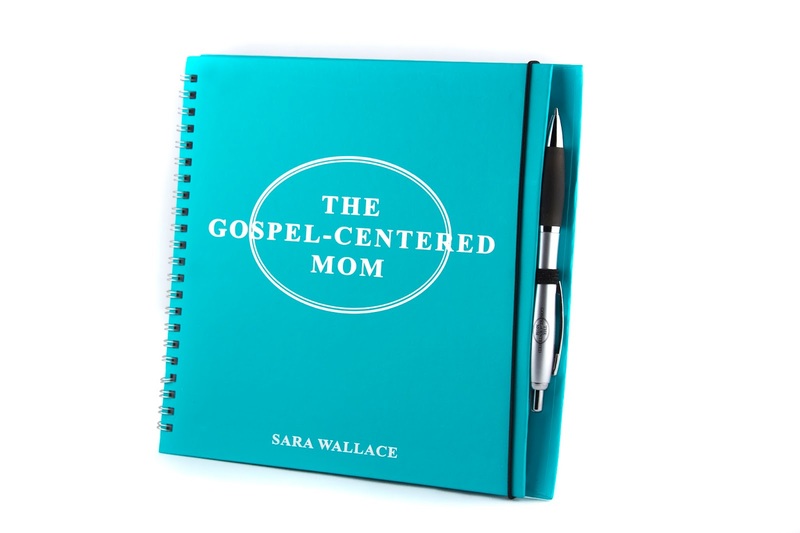 She is the author of “The Gospel-Centered Mom” Bible study. Get your copy on Amazon! ← Are You Giving Your Kids Too Many Choices?